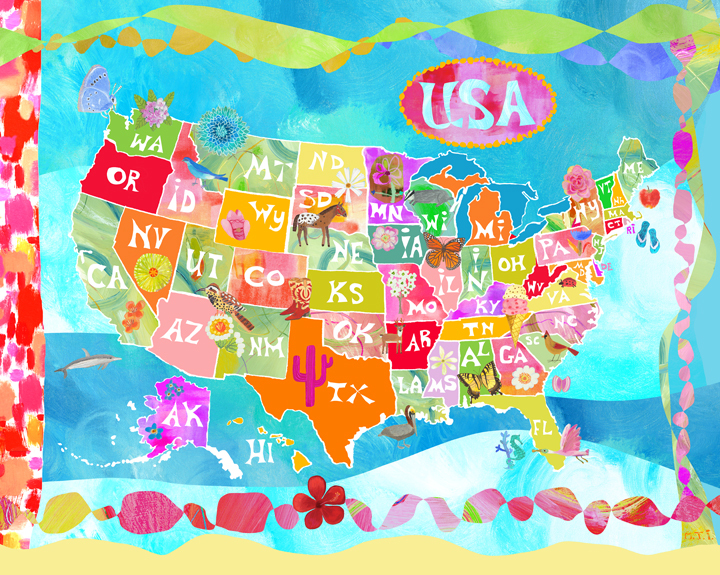 Check out this new Oh Happy Day!-USA girls’ wall art map that is just out through Oopsy Daisy. It’s a culmination of my conventional painterly work combined with computer graphics. There’s also a boys’ version as well. Let me know what you think about this new style. 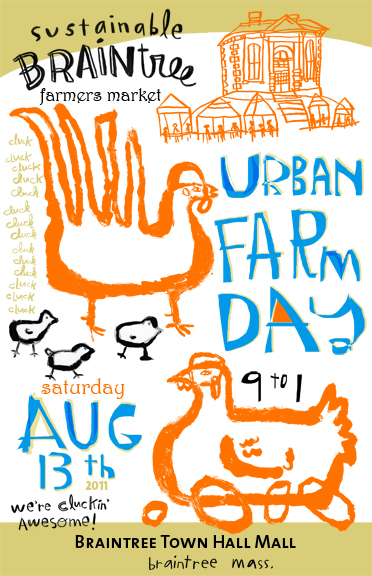 Urban Farm Day posters only $5. This is my newest poster created to raise funds for the Braintree Farmers Market/Sustainable Braintree. The posters are 10″ x 15.5″ and are a limited print run of only 50 copies. Come on down to the market and if I’m around I’ll sign it for you. 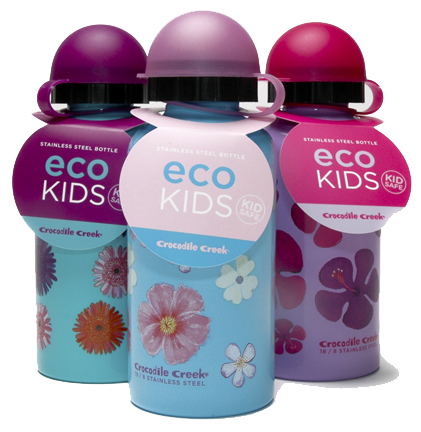 Here’s some of my artwork appearing on BPA-free Drinking Bottles from Crocodile Creek. You can find them just about anywhere including Whole Foods stores. You are currently reading What’s New… at donna ingemanson studio.